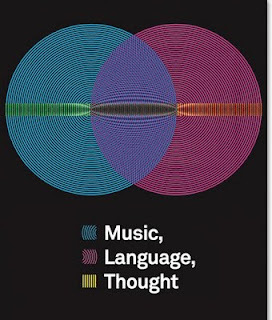 Although the origins of music and language remain largely theoretical at this juncture, it is clear that there is a connection between the two. The likelihood that both of these faculties are functionally related, and may have developed out of a common ancestor is strongly supported both by characteristics of the two systems and shared pathways in the brain. A number of studies suggest that, although music and language are produced independently of one another, the syntactic structures of both are processed together. The correlation between the two opens the possibilities that music and language be of similar values in understanding the worldview and experience of a culture. Charles Darwin postulates that before the onset of either music or language in their modern incarnations, humans communicated via a system which exhibited characteristics of both. From this primitive system music and language emerged as separate entities. Steven Brown, musicologist, made a similar proposal naming this protolanguage “musilanguage”. He proposed musilanguage exhibited the shared features of language and music, including phrase units and formations, as well as functional purposes on both a phonological level and a meaningful one. Musilanguage evolved out of the vocalizations of primates which he names “referential emotive vocalization”; these vocalizations were calls, not songs, which communicated emotive responses to environmental stimuli, and are exemplified by the alarm call system of the African vervet monkey. Brown developed another conceptual model for the development of music and language, which he called “HMMMM” communication, an acronym for a communication system that was “H”olistic, “M”anipulative, “M”ulti-modal, “M”usical and “M”imetic in character. Again, this model proposes a sort of musical protolanguage from which capacities for language and music both evolved. Information borrowed in: Mannion, C. (2001). The Human Spirit Speaks Through Song: Exploring the application of the theory of linguistic relativity to music.